This workshop aims at closing the gap between automated deduction and one of its most important applications: formal methods in software engineering. The workshop brings together the precise modelling and the automated reasoning communities interested in object-oriented software development. 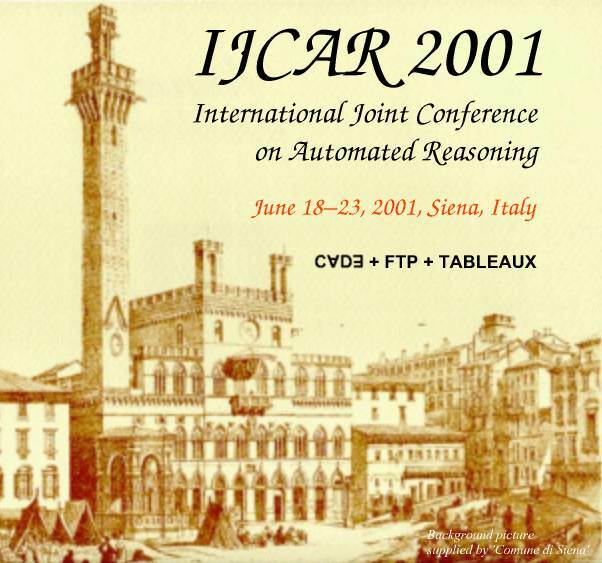 The workshop will be held in June 2001 in Siena (Italy) as part of IJCAR 2001, the International Joint Conference on Automated Reasoning. The meeting will include presentations of contributed papers, an invited talk, and a tool demo session. Informal proceedings will be available at the workshop and can be downloaded here. Participation is open to all interested IJCAR attendees. If you are interested in participating, please send an email to PMD@ira.uka.de, indicating your full name and address.